Up until the 1940’s, Aventinus was shipped all over Bavaria in containers lacking temperature control. Consequently, the precious drink partially froze during transportation. Unaware that the brew was concentrated by the separation of water from the liquid. People were baffled by this unique version of Aventinus. 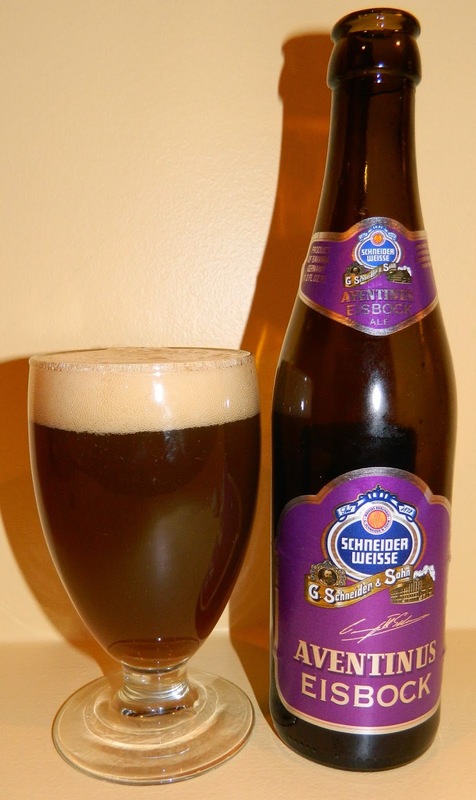 By chance, the first Aventinus Eisbock was created. Well aware of this story, Hans Peter Drexler, brewmaster of the Schneider brewery, decided to recreate this classic "mistake" in a modern controlled facility. Thus, the Aventinus Eisbock is reborn sixty years later ... Prost! Well, we just got around 7 inches of snow. It’s 8:00 at night and I just got in from shoveling the driveway and sidewalk. This is a perfect night for a fire and an Eisbock. I bought this several months back but I’m not worried about aging this one. Actually this should get better with age. The ale pours a hazy brown with ruby hues and an off white to tan head. The beer is almost opaque with very little light getting through the bottom of the glass. The nose is amazing with rich caramel malt aromas with toasted malt notes of toffee. Wow, What a fantastic first sip; silky smooth, rich and warming. The experience starts out with a rich caramel malt sweetness up front on the tip of the tongue, followed by the most exquisite silky smooth mouthfeel as the ale rolls over the tongue in the middle of the sip. For such a rich beer there is not much of a hesitation at the top of the swallow. Due to the low carbonation the smooth rich creaminess continues through the swallow into the finish. The finish is exquisite with rich caramel malt flavors with notes of toasted toffee and hints of chocolate. These rich malt flavors continue in the final aftertaste. 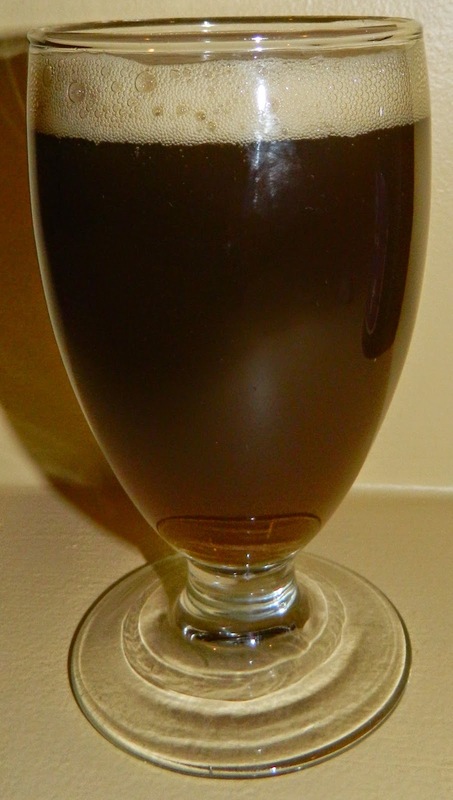 The mouth is left with a malt coating similar to that of a rich stout but much sweeter. There is also a very noticeable warming feeling in the chest. However what is not noticeable is the alcohol. There may be some added sweetness from the alcohol but there is no harness or up front alcohol notes. It’s always impressive to me when high alcohol can be masked in the beer. As the beer warms in just gets richer and smoother. This is an A+ for sure. What a delicious smooth rich and warming experience. A+ | Aventinus Eisbock is an exquisite beer with rich caramel and toasted malt flavors with a silky smooth mouthfeel and finishing notes of toffee and a touch of chocolate leaving a you satisfied and warmed from the impressively masked 12% AVB.